FANTOMAS is the the Lord of Terror, the villainous anti-hero of a series of sublime pulps, books brimming with lurid imagery. A master of disguise, Fantômas is notorious for criminal atrocities and random acts of violence, human carnage on a mass scale. 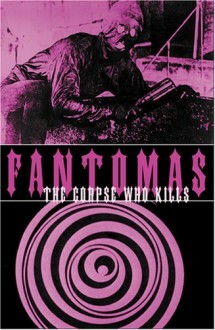 FANTOMAS: THE CORPSE WHO KILLS (1911), is the third book in this astonishing series.